We are the most notorious scum ever to sail the Gulf Of Mexico or cruise the rivers, Red, Arkansas, Mississippi, Missouri, Tombigbee , Ohio and Mobile Bay!! No Oreo, Root beer barrel, or Rum is safe from our Marauding hands. We are the Naval Forces for the People's Army and the 101st sector. All scum are welcome here. No scum will turned away. We are Pirates!! Our main mission is to look for survivors of the Zombie Holocaust. We will look for and scavenge any and all supplies necessary for our cause. General Komrad Vanessa Wicked's 2nd Marine Battalion!! Our Main base is here in Barataria Bay, Jean Lefittes old stomping ground. We range from here over to Mobile bay and on over to Galveston Bay and the Port of Houston. The Oil refineries are still intact! We will need fuel for the long road ahead. We are at best, a haggardly looking lot. We have Amphibious DUKWs, LVT(a)4s , LVT-4s, Hover craft hydrofoil water craft to take our troops anywhere!! For Deep water action we got 3 Wasp Class Amphibious Assault Ships, 2 Oil tankers, 5 River tugs and all the barges need to haul supplies, troops up or down river. The Fourth REICH. Goddamn Nazi bastards should have died out in the 40's. We have also got a team working on a secret weapon to use in this war. U.S.S. LEXINGTON. A fine and Grand old Lady of the sea. Lex will be our Flagship. Powered! So if you want adventure and are tired of beling scared of the Undead, then join us!! We'll wipe the swarthy bastards of the face of the planet!! Started by The Dread Pirate Boodrow. Last reply by LONEWOLF Nov 18, 2011. Started by The Dread Pirate Boodrow Dec 19, 2009. Started by The Dread Pirate Boodrow Dec 12, 2009. 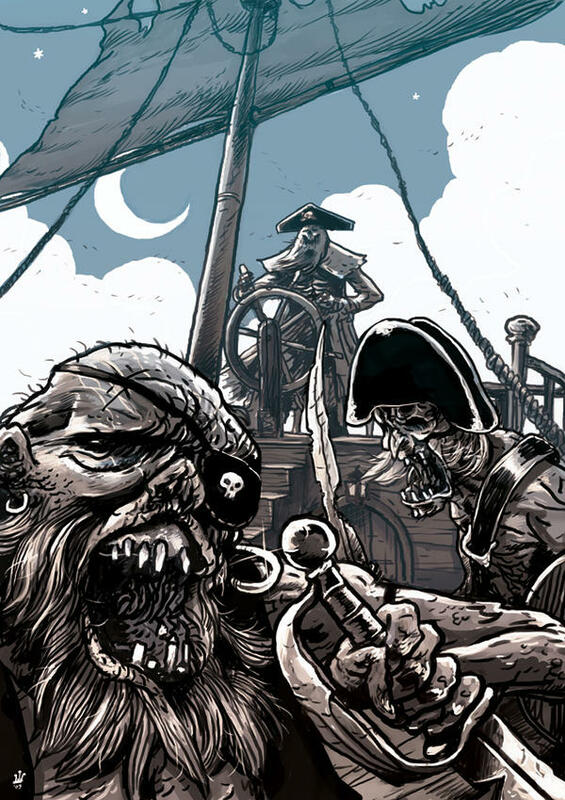 You need to be a member of Boodrow's Pirate Fleet to add comments! YO,HO,HO AND A BOTTLE OF RUM!!! That's what I like. A spirited undead crew!!!! Found a new anti zombie vehicle!!! A mine sweeping tank!! The rotating drum with all the logging chains make out like a zombie lawn mower!! If anybody can tell me what this thing is doing in the Bayou, please tell me. It's parked in my spot!